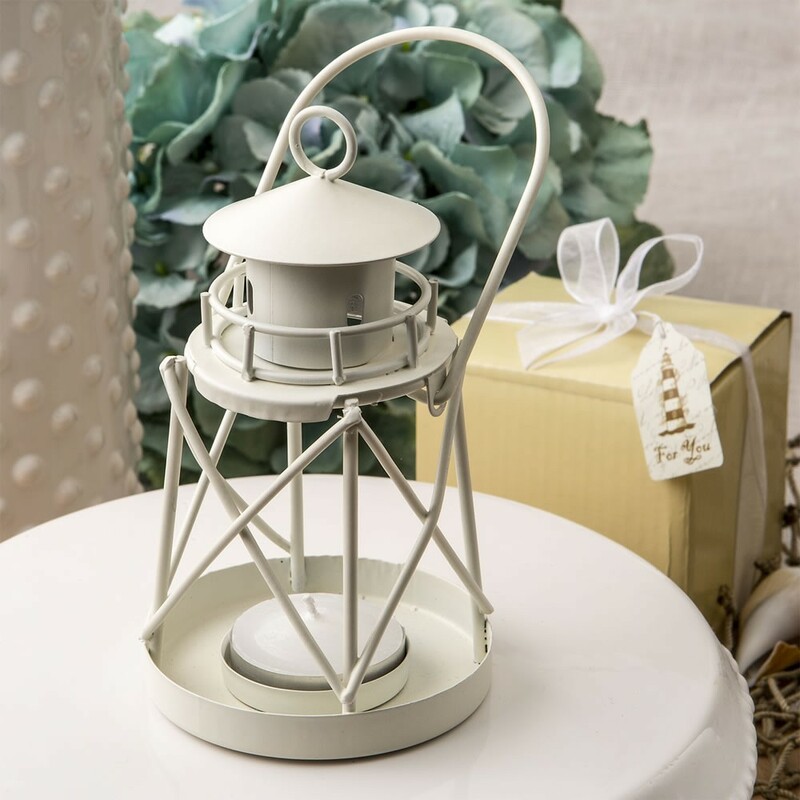 Guide your guests safely to their tables with these classic little metal lighthouse lanterns. 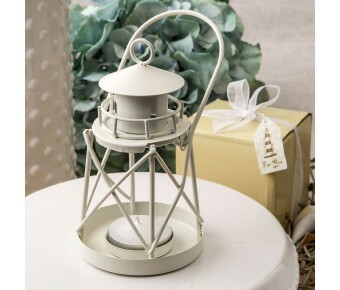 They will create a lovely warm ambiance in your event hall when they glow with tealight candles. Size 5 1/4" x 3 1/4"